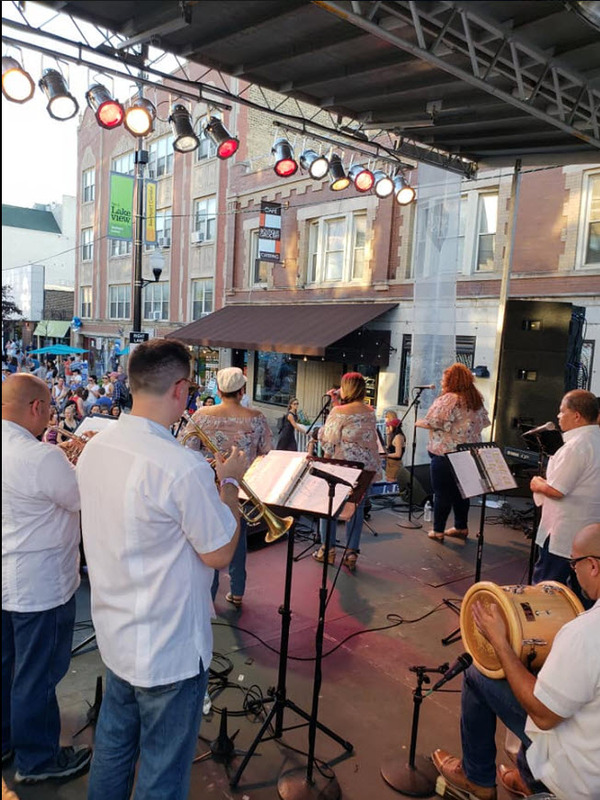 Chicago Latin Groove is a 9 piece family friendly, high energy, tropical music cover band that combines English and Spanish lyrics. Their acts are lively and engaging with rhythms that will get you out of your seats! 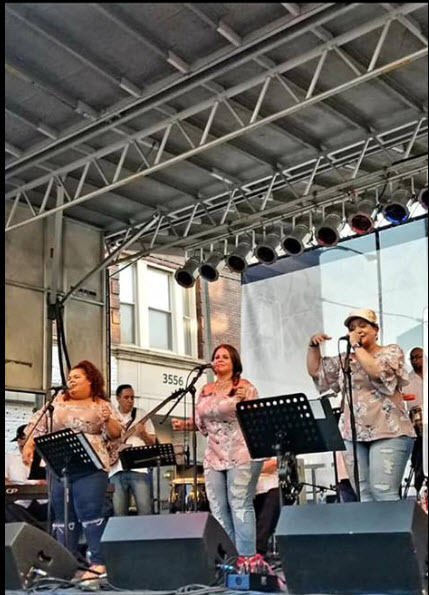 Chicago Latin Groove has performed in front of thousands in some of the largest festivals in the Midwest, such as the: Taste of Chicago, Chicago Puerto Rican Fest, Lake County Fest, Missouri Hispanic Fest and Chicago Cuban Fest. Their music ranges from sultry Spanish ballads to fast paced Merengue. Their specialty is salsa music. To add plenty of variety they also perform: Cumbia, Latin Jazz, Cha-Cha-Cha, and newly added, 70’s covers with a Tropical music twist. Bring your happy feet – you are not going to want to miss this act!